The wedding day is that one special day in everyone's life that you want it to be a perfect day. You want to look perfect, you want the music to be perfect, you want the food to be perfect and what makes this special day even more special is a perfect wedding location so what's better than coastal wedding venues in India. India is blessed with many beautiful beaches which can offer you perfect coastal wedding venues. 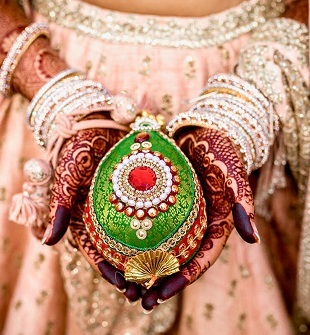 Kerala is a beautiful place for the wedding because of its rich cultural heritage and beaches kissed by the Arabian sea. If you want to get away from hustle and bustle then Kerala is the best place for your destination wedding.Some popular beaches of Kerala for the coastal wedding are Kovalam, Mararikulam(Marari). If you want your wedding to be a traditional one and full of the cultural affair then Kerala could be an ideal choice for you. The celestial beauty of this twin town will definitely take your breath away. Daman and Diu located on the west coast of India with a touch of Tranquil waters of Arabian sea. Daman and Diu have its own magical charm with its widespread coconut groves, golden beach sand. It offers an offbeat wedding with its magnificent forts and white sand beaches. Alibaug a beautiful place in Maharashtra which could be the perfect destination for a coastal wedding. Alibaug has a long chain of beachside resorts and cottages which makes it a perfect place for a wedding.Some popular beach wedding venues in Alibaug are Radisson Blu Resort, U Tropicana, Mango beach house. whenever we think about beach the first word that comes to our mind is Goa. Goa with its beautiful sunset and rich flora and fauna you can hit the pre-wedding photo shoot and have amazing photographs which you can treasure for life. Goa has approx 55 beaches so you have so many options to choose a coastal wedding site in Goa. Some of the popular beaches are Baga beach, Candolim beach, Calangute beach, Vagator beach, Anjuna beach etc. Mangalore a beautiful state of Karnataka kissed by Arabian sea. If you are looking for an affordable coastal wedding location then Mangalore is the ideal choice for you. Mangalore is a pocket-friendly wedding destination with its picture-perfect appeal. 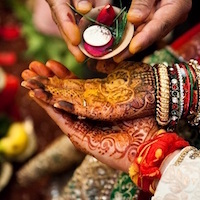 Wedding in Mangalore is nothing less than a dreamy and magical affair. If you want a unique location for your wedding then this place is a dream place for you.This place offers a huge space along with its traditional bliss.The InterContinental Chennai Mahabalipuram resort offers almost of 140 rooms that can accommodate approx 2000 people, this beachside venue will definitely provide a feeling of butterflies in the stomach with its sound of waves playing with the shore. Vizag with its pristine beaches is also attracting couples for tying the knot.The best time for destination weddings in Vizag is from November to February. 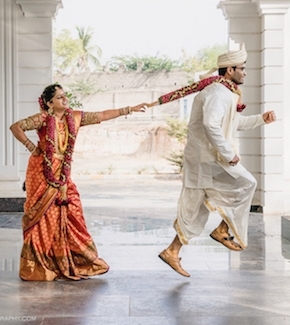 Farmhouse weddings is also a good option in Vizag with many smaller resorts, especially in the West Godavari region, promoting the concept of Coastal weddings. If you wish for a quiet place for your wedding then Andaman can be your perfect destination. Andaman with its hustle free environment and turquoise water beaches kissed by the Bay of Bengal. Andaman also has a good accommodation facility so you can select a nearby hotel to your wedding location for stay. Some of the exotic beaches of Andaman are Port Blair, Havelock. Pondicherry is yet another dreamy destination for a romantic wedding with its charm of pristine beaches. Pondicherry is famous for its beautiful sunrise which can add its loveliness to your pre or post-wedding photo shoots. If you are thinking of a church wedding then Pondicherry can be an ideal choice for you with its variety of Catholic churches and the French menu of Pondicherry will be the cherry on the cake for your wedding guests. So these were some of the best coastal wedding venues in India which you can select for your wedding to make your D-day memorable.